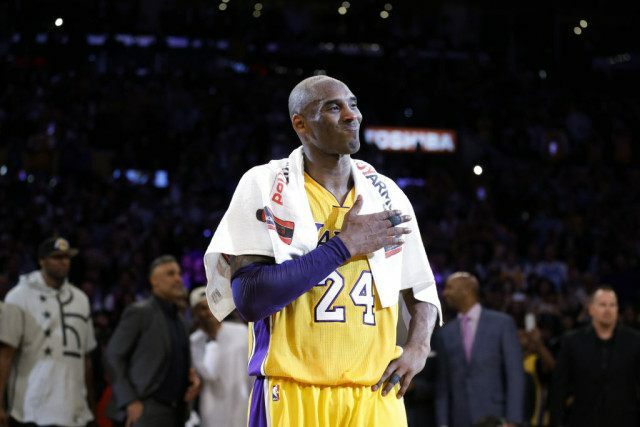 LOS ANGELES (AP) — Kobe Bryant went out with a Hollywood ending to his remarkable career. Bryant scored 60 points in his final game Wednesday night, wrapping up 20 years in the NBA with an unbelievable offensive showcase in the Los Angeles Lakers’ 101-96 victory over the Utah Jazz. He scored 23 points in the fourth quarter, posting his first 50-point game since February 2009 and rallying the Lakers from a 15-point deficit to win the final game of the worst season in franchise history.